The Cupcakery is a specialty bakery specializing in baking and selling gourmet cupcakes with locations in Las Vegas and Texas. On January 14, 2011, Texas resident Ricky Perritt (along with several of his wholly-owned LLCs) filed a lawsuit in the U.S. District Court for the Eastern Distirct of Texas against his niece, Pamela Jenkins, and her Nevada-based company The Cupcakery, LLC (“Cupcakery NV”). See Perritt et al v. The Cupcakery, LLC, et al, Case No. 11-cv-00023 (E.D. Tex. January 14, 2011). A copy of the complaint (with exhibits) can be downloaded here. The new lawsuit is actually a continuation of an earlier dispute over ownership of “The Cupcakery” that originally arose between Perritt and Jenkins back in September 2009, but which was resolved at that time by a written settlement agreement (attached to the complaint as Exhibit A). According to the complaint, Cupcakery NV was originally formed by three individuals – Pamela Jenkins, Laura Santo Pietro, and Dawn Kalman – in July 2005 with each owning 1/3 of Cupcakery NV. Jenkins, in order to contribute capital to the new business, purportedly received a $95,000 loan from her uncle, Perrit. Jenkins later sought to borrow additional money from Perritt in order to allow Jenkins to buy-out the interests in Pietro and Kalman. Perritt agreed to pay the funds but only if Jenkins assigned over the 2/3 combined interests of Pietro and Kalman to Perritt. Perritt and Jenkins entered into an Agreement on April 20, 2007, which assigned over Pietro’s and Kalman’s 2/3 interests in Cupcakery NV to Perritt. When Jenkins later proposed opening a second store in Las Vegas, Perritt loaned an additional $187,500 to Cupcakery NV. That stored opened in January 2008. Thereafter, Perritt, with the full knowledge of Jenkins, decided to open up his own “The Cupcakery” stores – first in Frisco, Texas (owned by the Texas based, and co-Plaintiff ,The Cupcakery, LLC), and then a second store in Dallas, Texas (owned by co-Plaintiff Buster Baking, LLC), and later a third store in The Woodlands, Texas (owned by co-Plaintiff The Woodlands Baking, LLC). Perritt’s Texas stores used the same name, recipes and other intellectual property used by Cupcakery NV. In September 2009, Perritt and Jenkins became embroiled in a dispute over ownership of “The Cupcakery,” which led to Perritt filing a lawsuit against Jenkins in Texas. Jenkins never answered the suit, but through counsel, a settlement agreement was reached in late October 2009 whereby Perritt transferred of his interests in Cupcakery NV to Jenkins in return for receiving an undivided 50% interest in all trademarks, tradenames, and intellectual property owned by the Jenkins and Cupcakery NV with respect to the cupcake business. Jenkins also gave up any interests she might in the Perritt-owned LLCs. Perritt also had the exclusive right for four years to develop additional “Cupcakery” stores in all states except Nevada. The settlement agreement also established that, with respect to the website thecupcakery.com, all inquiries outside of Nevada would go to Perritt and all inquiries inside of Nevada would go to Jenkins. The end result of the settlement agreement was that Jenkins received 100% of the stores in Nevada and Perritt received 100% of the stores in Texas (along with the exclusive right for four years to develop additional “Cupcakery” stores in all states except Nevada). Perritt and Jenkins individually would own an undivided 50% interest in all THE CUPCAKERY trademarks, tradenames and intellectual property and both agreed to conduct business in a manner consisting with protecting the marks and to work together to maintain the website for The Cupcakery. According to the latest complaint, Jenkins has become dissatisfied with the settlement agreement and has acted in a manner in breach of the settlement agreement. Specifically, Perritt alleges that Jenkins has supposedly refused to pay her share of legal expenses advanced by Perritt (approx. $8000) that were incurred by the business in pursuing a lawsuit against a third party regarding the “Cupcakery” name (perhaps referring to the “Sift: A Cupcakery” dispute previously blogged about here and here and here?). Perritt also claims that Perkins has stated that she will “not pay any monies or take any measures necessary” to protect the intellectual property and “will give the right to use the name to third parties without consideration of any sort” [ed.—probably a little bit of an exaggeration]. The complaint also alleges that Jenkins, claiming ownership and control over the website “TheCupcakery.com,” told Perritt on January 12, 2011, that she is going to pull down the website on January 17, 2011, and that Perritt must create his own website. Perritt’s position is that he owns a 50% undivided interest in all the intellectual property of “The Cupcakery” including the website and that to switch websites from the one website that gets the most hits when “Cupcakery” is entered on any search engine would cause substantial and irreparable harm to his business. Perritt also maintains that since website inquiries outside the State of Nevada are directed to him, he will be unable to communicate with potential investors, franchisees, or licensees if the website is down for any length of time. Perritt seeks a temporary restraining order enjoining Jenkins from changing or interfering with the current website pending a hearing on Perritt’s motion for preliminary injunction. Perritt also seeks a declaratory judgment that he owns an undivided 50% interest in the intellectual property of The Cupcakery, that Jenkins is obligated to pay 50% of the attorneys fees and costs associated with protecting The Cupcakery’s intellectual property rights, and that Jenkins cannot modify the website without Perritt’s consent. Finally, Perritt sets forth causes of action for breach of contract, breach of duty of loyalty, and breach of fiduciary duty. Comment: One wonders if the parties genuinely thought that the co-ownership of the “The Cupcakery” intellectual property rights worked out as part of their 2009 settlement agreement was really going to work in the long term. Las Vegas Sun coverage: Website at center of The Cupcakery legal dispute (Steve Green, January 18, 2011). Through research, I've found that the word cupcakery existed before I opened The Cupcakery. I believe the use of cupcakery as a noun can only maximize the exposure for myself and others who believe in the delicious spirit of cupcakes and cupcakeries. It is not, and never has been, my intent to limit the use of the word cupcakery or purport to own the word, as my former partner is attempting to do. As I have received numerous requests nationwide regarding the phenomenon of cupcakes, the word cupcakery and other cupcake-related questions of late, I felt it was the right time to share the glory of The Cupcakery and all cupcakeries freely. Las Vegas Sun coverage: Cupcakery owner hoping for an end to trademark disputes (Steve Green, January 20, 2011). Jenkins’ statement then prompted her uncle to seek another TRO to stop her from talking, which was promptly denied (link to amended TRO application and court denial here). 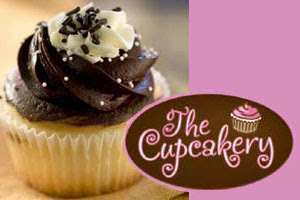 Las Vegas Sun coverage: Cupcakery legal battle escalates with request for gag order (Steve Green, January 27, 2011). One might also wonder why it is that these idiots cannot see this simple truth: all ships rise with the tide. Both should be working like dogs to make the web site one of their most valuable assets so that they all make money. Fighting rarely ends up netting money...even Microsoft knows that settling, acting in reasonably good faith and making money is the key to success. Texas Cupcakery shop owner Ricky Perritt is asking a court to issue a gag order against his niece in Las Vegas, saying her comments are undermining his efforts to protect The Cupcakery trade name. Perritt and the niece, Las Vegas Cupcakery shop owner Pamela Jenkins, are now embroiled in their second lawsuit in two years over business disputes related to the high-end The Cupcakery business. Those disputes resulted in Perritt and Jenkins splitting the business, with Jenkins keeping three stores in the Las Vegas area and Perritt taking stores in Texas and development rights outside of Nevada.